(March 20th, 2015) Empire State Development today announced that Paramount Pictures and Nickelodeon Movies’ TEENAGE MUTANT NINJA TURTLES 2 has chosen to film in New York State, in New York City and Buffalo. The sequel to last summer’s blockbuster TEENAGE MUTANT NINJA TURTLES is expected to spend an estimated $70 million statewide, resulting in more than 1,000 New York State jobs. Principal photography is slated to begin in late April in New York City, with scenes taking place at Marcy Armory in Williamsburg and other locations throughout the city. Overall filming will continue throughout the summer. Production is expected to commence in Buffalo in early May for two weeks. The production expects to spend approximately $7 million in Buffalo, while investing extensively in local equipment rentals, including trucks and generators. Many major film productions have touted New York State’s Film Production Tax Credit Program as a major factor when choosing the Empire State as the location to film. Since 2004, 1,169 film and television projects have participated in the program and are estimated to have generated more than 871,000 new hires and over $17.3 billion in new spending in New York State. In 2014 alone, 194 film and television projects applied for the program and are projected to spend approximately $2.6 billion while hiring more than 162,500 individuals in New York State. 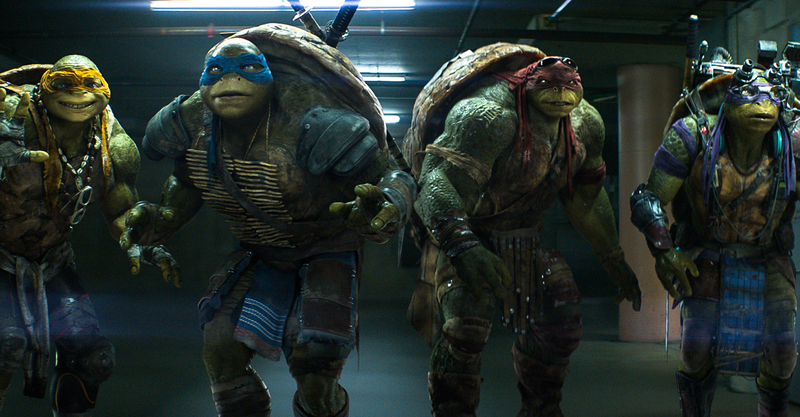 Paramount Pictures and Nickelodeon Movies’ TEENAGE MUTANT NINJA TURTLES 2 is directed by David Green. Michael Bay is producing alongside his Platinum Dunes partners Andrew Form and Brad Fuller, with Galen Walker and Scott Mednick also producing. Josh Appelbaum & André Nemec are writing and will executive produce with Denis Stewart. The film will be released by Paramount Pictures on June 3, 2016.